Nació en Argentina, en la ciudad de San Pedro, provincia de Buenos Aires. Se graduó como médico en la Universidad de Buenos Aires, y obtuvo la especialización en Oftalmología y el Doctorado en Medicina en la misma Universidad. Su primer maestro, en el Hospital Durand, el profesor Gustavo Piantoni, lo ayudó a obtener en 1978, una beca en Facultad de Ciencias, Universidad de Gante, Bélgica, para trabajar y continuar con su formación con los Profesores Jules François y Virgilio Victoria Troncoso. A partir de ese acontecimiento se convirtió en discípulo como oftalmólogo e investigador, con una mirada crítica hacia la actividad médica en general y oftalmológica en particular con quienes publicó numerosos artículos de investigación médica. 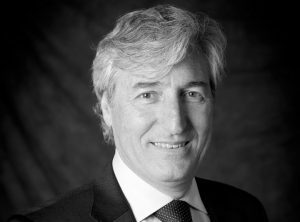 Desde 1985 hasta 1987 a través del Ministerio de Salud Pública de Francia obtuvo una beca en el Centre Hospitalier Universitaire, Service d’ Ophtalmologie, Prof. Maurice Quéré. Universidad de Nantes, Francia. She attended and finished the Medicine course of studies at the University of Buenos Aires, obtaining her graduation in the year 2006. She specialized herself in Ophthalmology at the Universidad del Salvador. Later she attended the Post-Graduation Residence in Ophthalmology in the Centro De Ojos Quilmes 2007-2010 and Hospital Evita Pueblo de Berazategui. She has been recertified as specialist in Ophthalmology by AMA and CRAMA and among the sub-specializations she obtained degrees in Ultra Sound Scan and Glaucoma. Since that moment she has been dedicated to the clinical Ophthalmology and simultaneously to the ophthalmological investigation; focusing on and with punctual interest; on the eye’s accommodation and presbyopia. She often gives Presbyopia Pharmalogical Treatments courses at national and international levels. 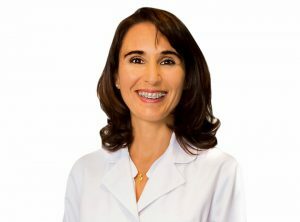 She is also a full member of the Argentine Society of Ophthalmology [ Sociedad Argentina de Oftalmologia] (SAO) , Argentine Council of Ophthalmology (CAO) , Pan-American Association of Ophthalmology (PAAO) y Association for Research in Vision and Ophthalmology (ARVO). She is a current Member of the steering committee of the Argentine Glaucoma Foundation (FAG) and Vice President of the Argentine Presbyopia Association (SAP). She has attended a Medicine Couse of studies at the Universidad Abierta Interamericana, being graduated in the year 2007. She obtained the Specialization in Ophthalmology at the Universidad del Salvador. She attended a Post-Graduation University Residence in Ophthalmology in the Centro de Ojos Quilmes together with well-known professionals in the subject; and in the Hospital Evita Pueblo de Berazategui. She also attended a Concurrencia [Post Graduate Practice] in the Ophthalmological Service of the Central Military Hospital and Rotation in the Ophthalmological service of the Pedro Lagleyze Hospital. She finished her Post Graduation Studies in Legal Medicine in the Fundacion Barcelo University, getting a graduation degree as Forensic Doctor. She has been recertified as a specialist in Ophthalmology by AMA and CRAMA. Among the sub specialties she obtained the degree in Ultra Sound Scans and Glaucoma. She is part of the Staff of Método Benozzi® professionals; and she works in the assistance area and investigating as well. She often gives courses on Presbyopia Pharmacological Treatments together with the Doctor Giovanna Benozzi. She exercises as a specialized doctor in the Advanced Investigation Center of Presbyopia (CIAP) and she is in charge of the Glaucoma Service. She has attended her course of studies in Medicine at the University of Buenos Aires, getting her degree in the year 1997. She has been a teacher since the career of Medicine as anatomist. She obtained the Specialty in Ophthalmology as a Resident of the Lagleyze Ophthalmological Hospital. She has been recertified as specialist in ophthalmology by AMA and CRAMA. Among the sub specialties she obtained de degree in Ultra Sound Scans, Glaucoma and Emergency Medicine. She is currently a full member of Guardia del día lunes of Lagleyze Ophthalmological Hospital. She continues with her teaching activities in the Post-Graduation Course of Ophthalmology of the SAO, in the Ultra Sound’s Post Graduation Course of the SAO, and she also participates in the theoretical and practical formation of new doctors who are attending the University Residency of the Lagleyse P. Hospital. 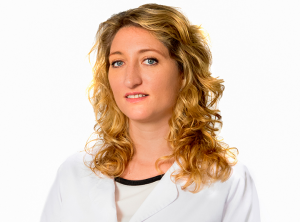 She is also part of the Staff of professionals in Método Benozzi®, working in the assistance area. She gives courses of Pharmacological Presbyopia Treatments together with the Doctor Giovanna Benozzi. 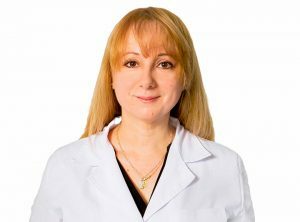 She is a specialized doctor in the Advanced Investigation Center of Presbyopia (CIAP) and is in charge of the Service of Ocular Surface.